A ball dribbling. The skid of sneakers. The low rumble of the crowd. The energy builds as captions flash across the screen. The rise of basketball prominence across Europe in the wake of World War II. A sport dominated by three countries: Italy, Spain, and of course, the Soviet Union. That is until that fateful season in 1977. Wearing their jerseys, the teammates of that 1977 Maccabi team watch old game tape. Just a group of lifelong friends reliving their glory days, reminiscing about the year that they changed history. It’s in their eyes, even after all these years, that sense of accomplishment, that pride. As the footage cuts between game tape and reaction, the audience is wrapped into the experience, feeling that same heart swelling emotion captured in the faces of the men who made it happen. Structurally, the film is nothing monumental, it follows a linear timeline from the formation of the team, through the team’s challenges, up until that fateful triumph over the entire European tournament in 1977. The team members, most still living, have the opportunity to share firsthand what it was like playing on the Israeli national team, not just in 1977, but in the years prior, when basketball in Israel wasn’t such a big deal. Most notably, of course, is Tal Brody, an American Jew who had the opportunity to play in the NBA but decided to forgo the US basketball draft in favor of playing for Israel’s fledgling team. By all accounts, Brody was the lifeblood of Maccabi, and his passion for the game and for Israel was an inspiration for the other American Jews who joined the team. As the film traverses the ups and downs of the 1977 season, it pulls in historical moments that inform and impact the understanding of what the championship win actually meant to this fledgling country. 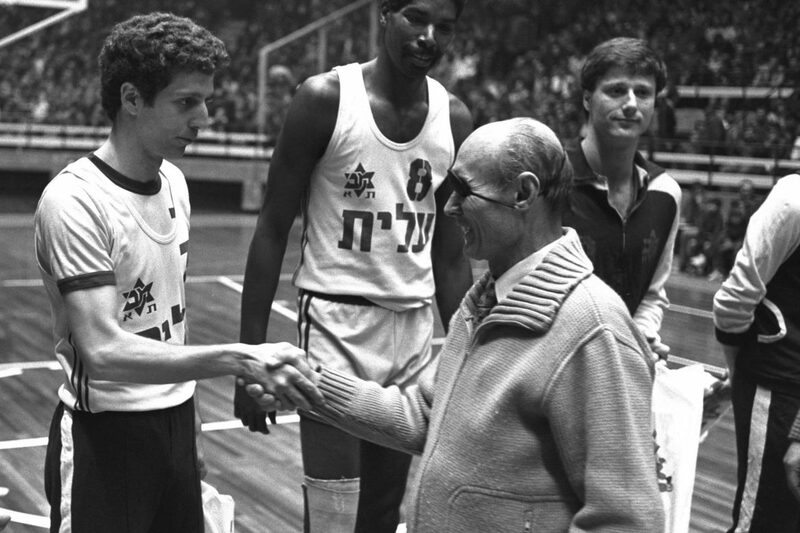 Including examples of the Yom Kippur War and the Munich Olympic games, Dani Menkin ties in the European basketball championship into a greater narrative about the role of Israel and Jews on the world stage. For Maccabi, winning the European championship was not just an athletic triumph, but a political triumph as well. In a time when many countries still refused to accept or acknowledge Israel’s existence; a time when Jews in Eastern Europe, under Soviet control, still were imprisoned in camps; time when the Soviet team repeatedly refused to even participate in a game against the Israelis, the Maccabi victory was a message that Israel was not going to just disappear. The famous words of Tal Brody’s (and the origin of the film’s name), the concept of Israel being put “on the map, not just in sport, but in everything” are exactly true. Through masterful storytelling, Menkin is able to clearly demonstrate the impact that Maccabi’s victory had, not only on Israel’s sense of self, but on Israel’s recognition and respect throughout the world. Intertwining the narratives of the basketball season with the greater political landscape, the impact of the victory reverberates through the history. Like any great sports movie, On the Map isn’t just about the game. It’s about the spirit. It’s about the inspiration. It’s about the transformation. Tying the 1977 European Cup win into Israel’s improved status in the world, literally putting Israel on the map, Menkin elevates this simple sports story to something greater. Watching the players relive their victory, for a brief moment eliminates the boundary of time and allows the audience to experience the triumph anew all these years later.